If you have a checking account and a debit card, at SOME point in your life you will accidentally overdraw your account. Even the best money managers can lose track of a debit transaction (or two) or an automatic payment. And when it hits? It hurts. In the wallet. Not only are you charged a fee by YOUR financial institution, you may be charged a returned check fee by the receiver’s institution. Thus, a snowball effect begins on your account. 1. Do sign up for Overdraft Protection, Automatic Savings Account Transfer or Overdraft Privilege. 2. Do review your accounts and balances frequently via eBanking. 3. 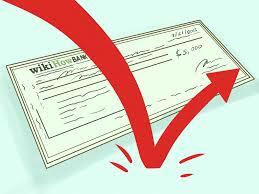 Do keep enough funds in your account to cover the checks you write. 4. Don’t EVER give your eBanking account credentials to anyone. 5. Don’t EVER give your buying service (e.g. Amazon) credentials to anyone. 6. Don’t EVER give your debit card and PIN to anyone. 7. Don’t EVER give your credit card to anyone. 8. Don’t EVER divulge your personal information over the phone to an unknown caller. 9. Don’t EVER respond to suspicious emails. 10. Do strengthen your passwords so that only you will remember them. See #4 above: A smart little eight-year-old (my son) once ordered a slew of movies from Netflix because my credit card was attached to the account. He just pointed, clicked and ordered to his little heart’s content … because he COULD! He thought he was “renting” them, not purchasing them. Just one of life’s little lessons ….